Cheer on your favourite hockey team and get game ready! 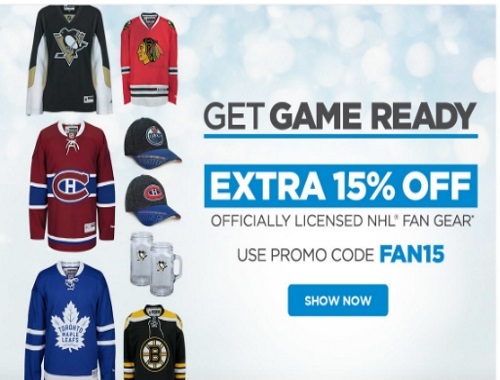 Get 15% off officially licensed NHL Fan Gear at The Shopping Channel! Enter the promo code FAN15 at checkout. Offer is valid until April 16 6:59am ET and can only be used on purchases in the licensed sports merchandise category as defined. Click here to shop The Shopping Channel.